Day 4 started low key as we slept in and tried to recharge our energy. My back finally gave out, fortunately at the end of yesterday’s tour. So today we decided to stay in the area around our timeshare. 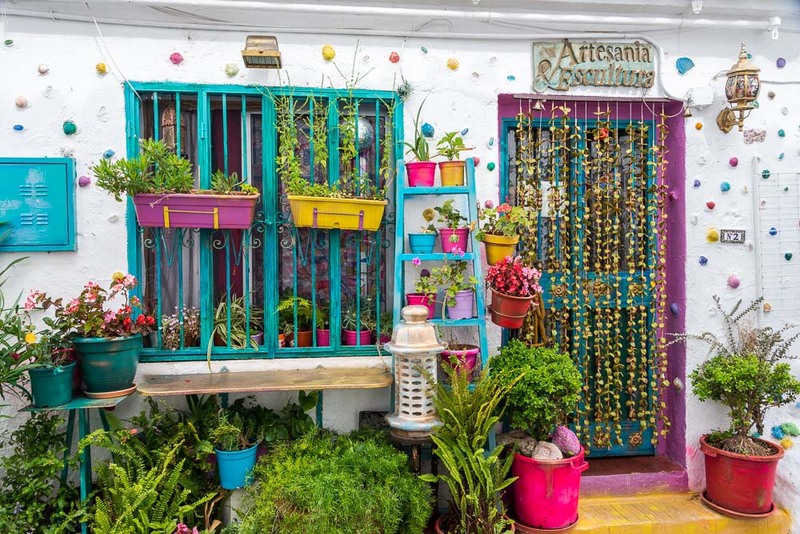 The first place we toured was just three kilometers from the timeshare, Benalmadena Pueblo . Here is a 5-picture panoramic I took from there looking back toward our timeshare and the Mediterranean Sea. The weather the entire trip was in the upper 70’s to mid 80’s and sunny. 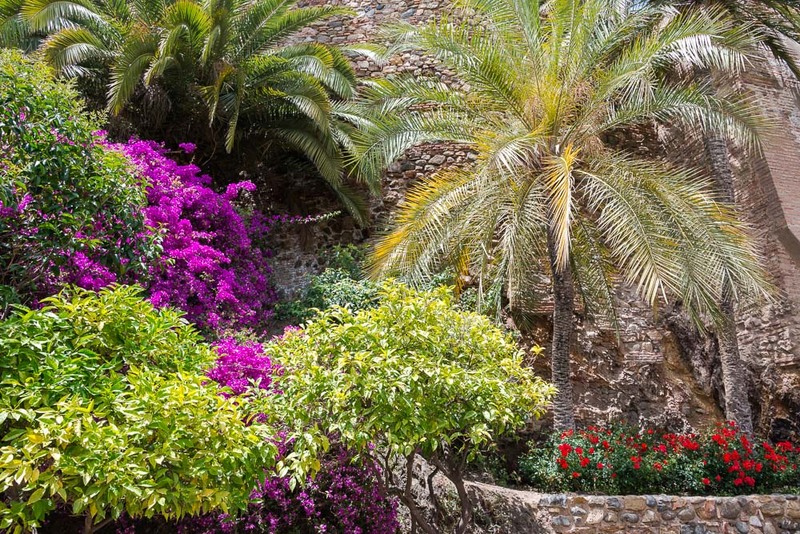 The Pueblo was an artsy town and very typical of Southern Spain. Although there wasn’t much to see, the walk around was very pleasant. 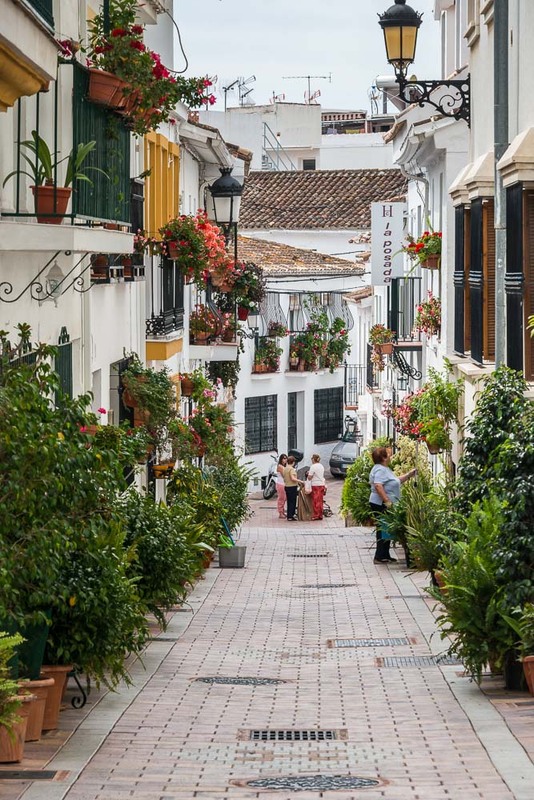 We then went back in the car and drove 20 minutes to Malaga. 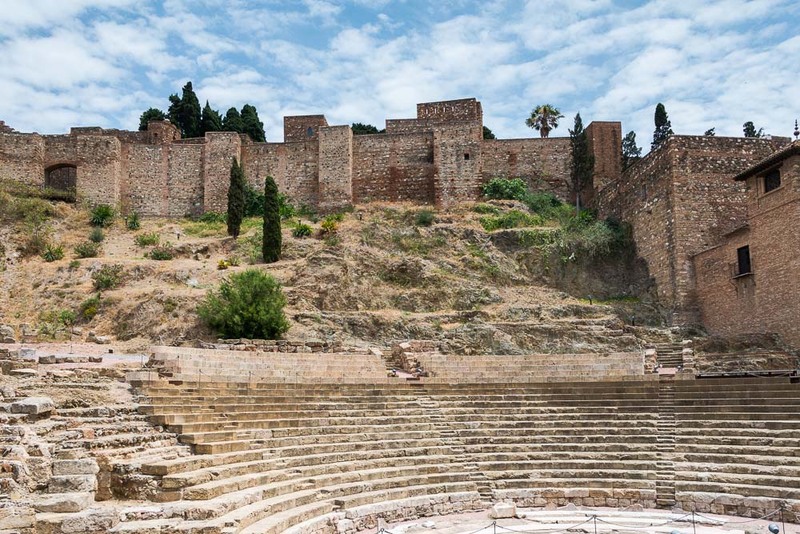 We had lunch and then walked through the Alcazaba,the remains of an ancient Moorish palace and fortress. Before we entered we passed by an ancient amphitheater, the Teatro Romano , build by Caesar Augustus in the first century BC. 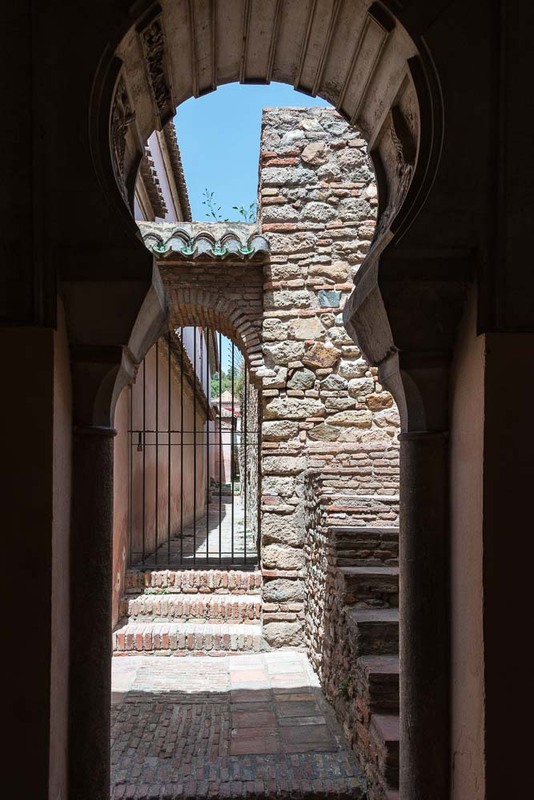 The Alcazaba was built in the early 11th century. 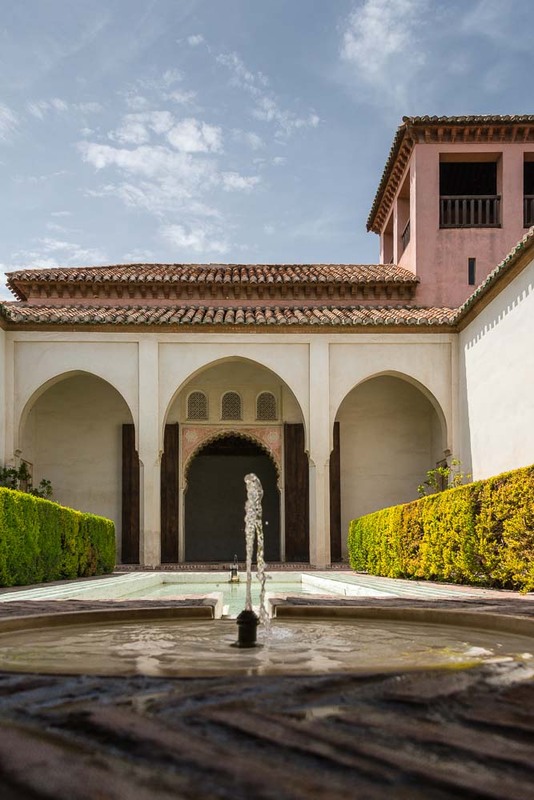 The word Alcazaba means citadel in Arabic. It too has its gardens. 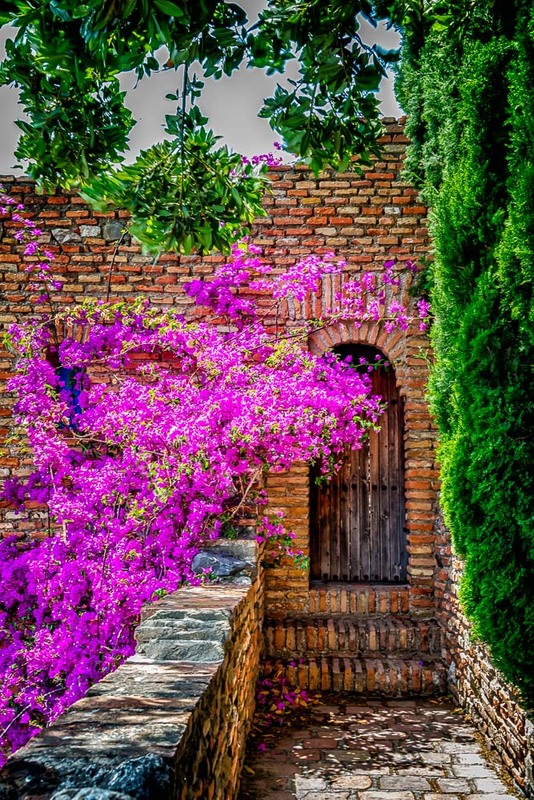 The purple flower below is bougainvillea, and it is literally everywhere in Southern Spain. 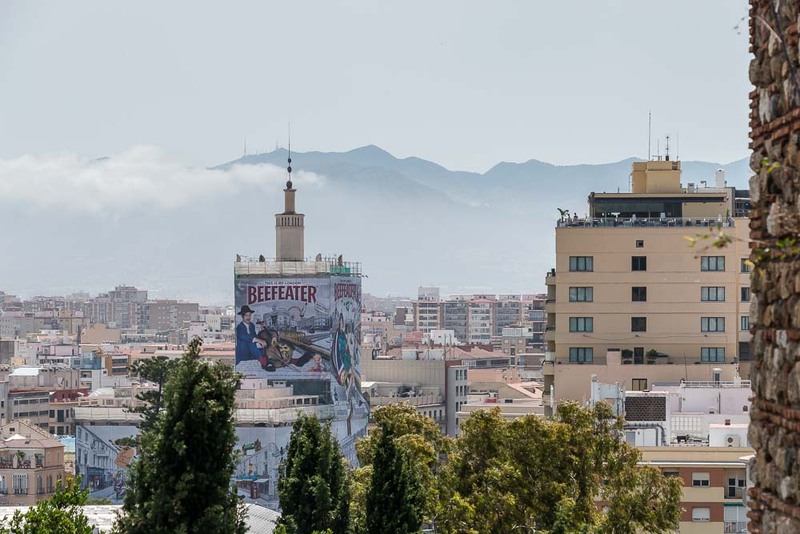 We also had a chance to get a better view of modern Malaga. Thanks, Tony! It was great seeing you again, too! Awesome work Jerry. The colors and subject are amazing.